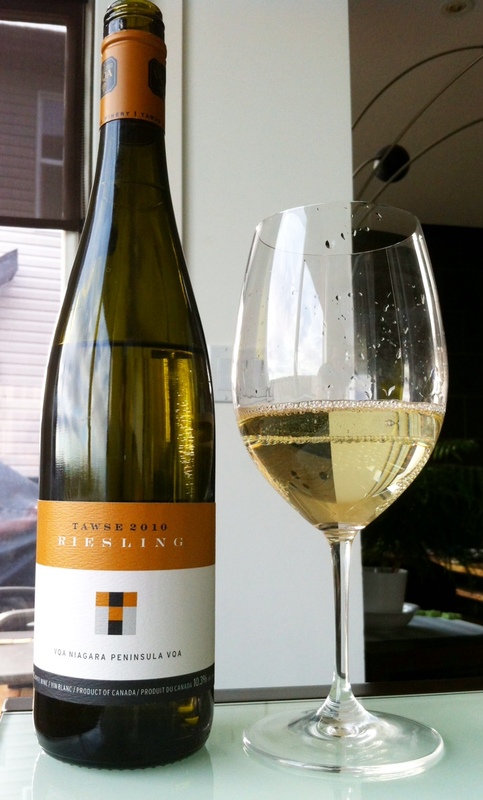 Tawse Riesling: Niagara's great white hope? Long time no speak! Although it’s been awhile since you’ve seen any activity on this blog, rest assured that it’s not because I’ve been lazy; I’ve been writing, just nothing that was immediately publishable. Make sure to check back on this site Friday evening, when my third monthly PnP/Calgary Is Awesome joint article will be posted, featuring a one-of-a-kind personality from a wine store that’s near and dear to my heart. I’ve spent the past few days getting that piece polished up and also writing a feature for a local project that will be unveiled shortly, but at some point recently I realized that I hadn’t actually put anything up on Pop & Pour for over a week. Let’s remedy that now. Since last Monday’s post was about Old World Riesling (from arguably the top vineyard in Germany, Bernkasteler Doctor), I decided to pick a New World Riesling for tonight as a counterpoint, the entry-level Riesling from Tawse Winery in the Niagara Peninsula, Ontario. Tawse is an excellent candidate to represent Canada’s burgeoning ability to produce high-level Riesling: it was named Canadian winery of the year for both 2010 and 2011 by Wine Access magazine and is one of Ontario’s most respected producers. I like to see Ontarian and British Columbian wineries showcase their Riesling skills because (1) I love Riesling and (2) it is a grape that matches our climate, growing well in slightly cooler areas and reaching its apex in a country, Germany, that’s on an almost identical latitude to ours. I’d never had the chance to sit down with a full bottle of Tawse Riesling until tonight, so I was psyched to twist off the cap and get going. Most young Riesling doesn’t have much depth of colour, and this one was particularly pale, a nearly-clear transparent lemon-green hue. The nose didn’t explode out of the glass like some Rieslings, but the aromas that met my nose told the tale of this cooler-climate grape: lemon meringue, lime and salt overlaid a distinct chalky minerality. The Tawse was made in a Germanic sort of style, light in body with searing, paint-peeling acidity balanced by notable levels of residual sweetness (the alcohol level was only 10.3%, a key hint that fermentation had been stopped when a bunch of grape sugar remained in the wine, preventing the sugar from being transformed into alcohol and leaving that sweetness in the finished product). Every ounce of that remaining sugar was necessary to smooth out the elevated acid, and the point/counterpoint discussion between these two elements gave the wine a Sour Patch Kids sort of taste to go along with tangy fruit notes of green apple, lime zest and orange, a green herbaceousness like wet grass and an overarching “health spa” fresh flavour. This palate-cleansing combo leads into a compact and razor sharp finish that definitely packs a punch. I like to see a Canadian Riesling leave it all out there on the floor like this instead of playing it safe and restrained. This bottle could certainly stand up to a wide range of foods (in my case tonight, honey hoisin chicken thighs…mmmm, honey hoisin) or be a compelling aperitif on its own. There is no particular flavour hook or precision of structure that would permanently entrench this wine in your memory, but as a $25ish basic Riesling offering ($20 at the winery, which is sadly of little use to me halfway across the country) there doesn’t necessarily need to be. 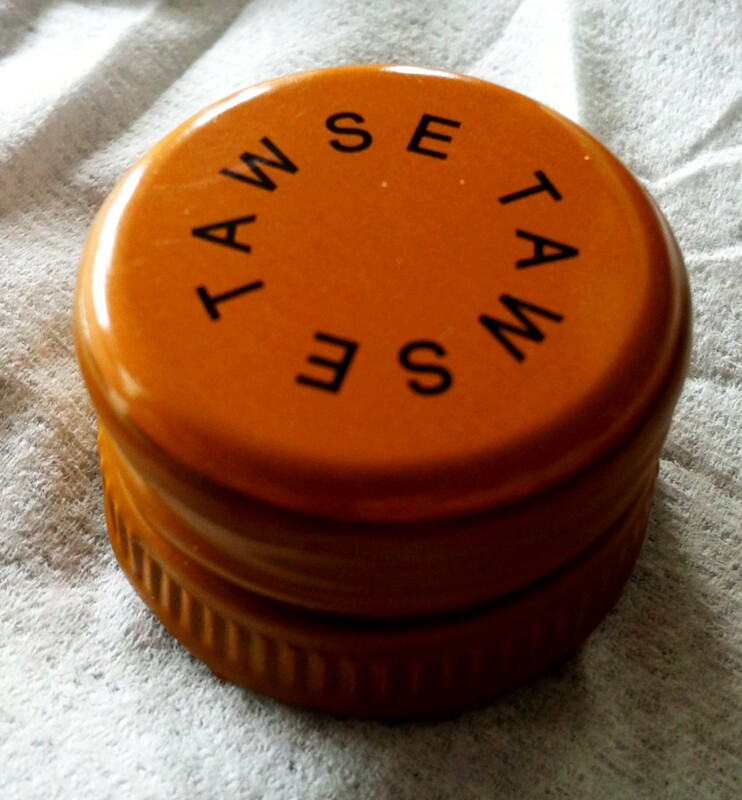 Tawse certainly demonstrates Niagara’s potential with this grape, an endeavour that I think emphasizes our strengths as a national wine industry as opposed to focusing on warmer-climate grapes too often doomed to accentuate our weaknesses.